What tastes better than comforting mashed potatoes with the tangy flavours of garlic and the aroma of rosemary? 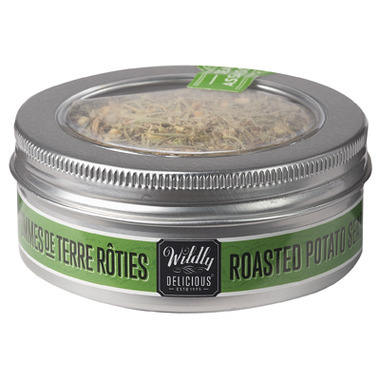 Simply dash Wildly Delicious Garlic & Rosemary Roasted Potato Savoury Seasoning on your next batch, stir and enjoy! Ingredients: Sea salt, spices, minced garlic, garlic powder, cracked black pepper. 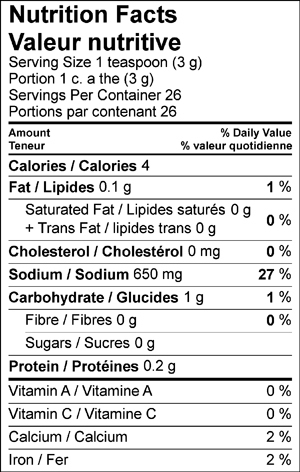 May contain sulphites, tree nuts, milk, sesame, egg, wheat, soy, fish, mustard. WOW! This product is excellent. Extremely tasty... I used this in my Christmas Roast Turkey recipe... ( Mixed some w/ organic Butter and Olive oil to cover the Turkey before roasting and was super delish ! ) Have ordered more the Chive / Garlic version for mashed potatoes. This is my favorite for potatoes.